Northern Ireland conference centre Belfast Waterfront has appointed Catherine Toolan as managing director. Toolan's appointment comes just a few months after the unveiling of Belfast Waterfront's new 7,000sqm exhibition space after a £29.5m investment. Toolan will manage both the Belfast Waterfront and the nearby Ulster Hall. 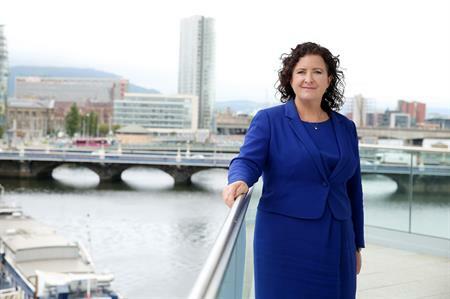 In her new role, Toolan will lead a team of over 300, with a key focus on establishing Belfast Waterfront as a world-class conference and entertainment facility. Building upon the team’s success to date, she is responsible for driving growth, profitability and strategy for both venues, with a target of generating £100m for the city over the next five years. Toolan brings more than ten years of experience to her new role having worked on major global sports projects for Aramark in Beijing, Guangzhou, London and most recently in Rio de Janeiro for the Summer Olympic Games. Commenting on her appointment, she said: "I’m delighted to be joining such a talented team and I look forward to leading and supporting them on the next stage of our exciting journey. The venue is riding on a crest of a wave – it is already recognised in many quarters as a world–class facility but now it has the capacity and technological capabilities, together with the city’s exciting offering to successfully attract more large-scale international conferences and deliver a top quality entertainment programme for the city."